Charly Silva was born in 1969, in the Andean region of Colombia. He studied mechanical engineering in his native country and is developed as an entrepreneur in the metalworking and metalware sector, where he acquires experience at working and manufacturing metallic elements. Always self-taught in arts and a a supporter of teachers who inspired him like Leonardo Da vinci and Picasso. This is how his works are made in welded, bolted metal and a bit of color. 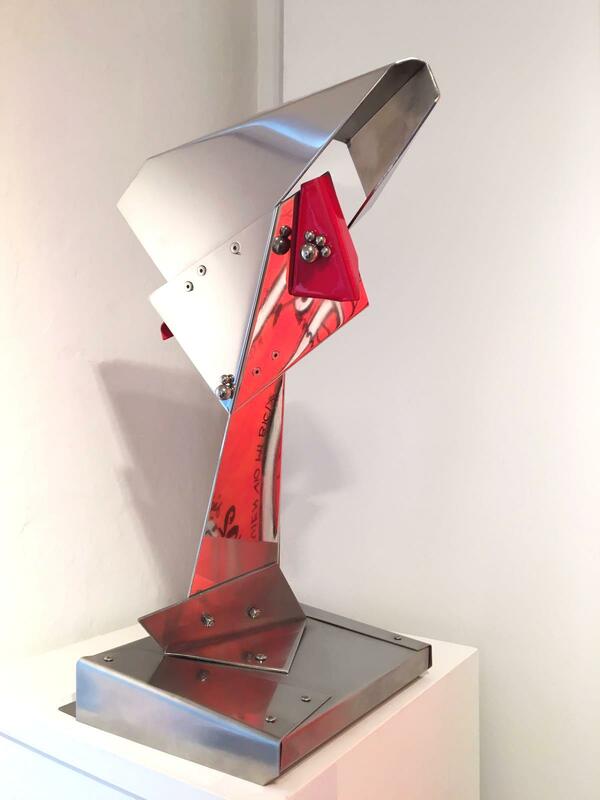 The result is a very personal style included in the "pop art metal," which highlights the sculptures, abstract characteristics of large proportions, asymmetry, and aesthetic value. When he begins to work his canvas is a sheet-metal and his brushes are welding and screw. All his works show the industrial processes that lead to transform the plates of metal in a warm element that convey a message.